You probably already know about the benefits of meditation, like how it reduces stress, improves mental performance and helps you sleep better — yet you still can’t seem to make the practice part of your regular routine. You’re just not convinced it’s for you. You’re not alone. Many people want to receive the benefits they hear about, yet their excuses keep getting in the way. 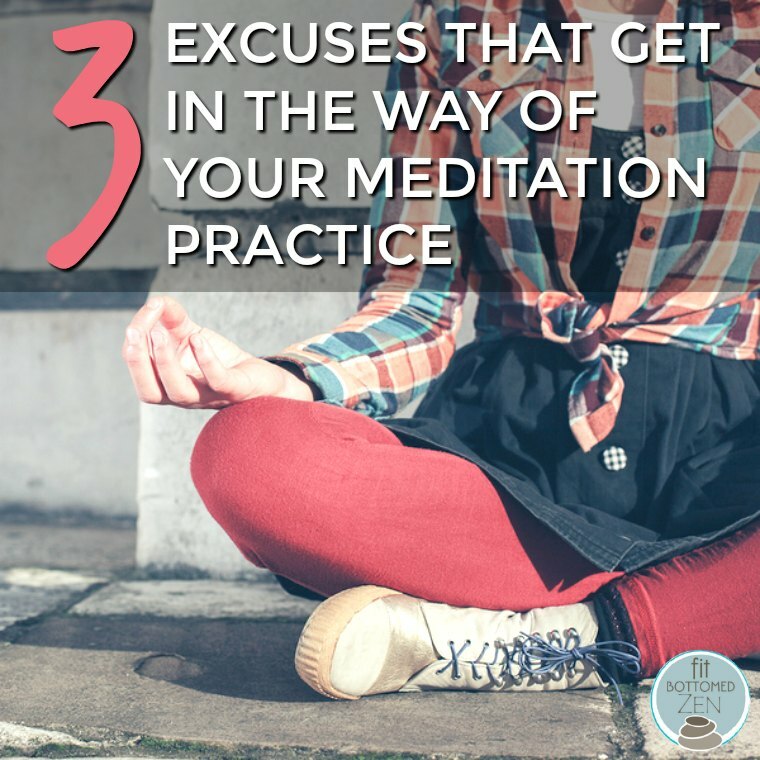 If you haven’t started meditating for one reason or another, I’m going to debunk the top excuses that I hear keeps people from establishing a regular meditation practice. If you aren’t meditating because you aren’t religious, that’s not a valid excuse. Yes, you may hear Sanskrit chanting from a meditation room, and you will read about meditation in ancient religious texts. But to sit still with the intention to find inner peace is not religious at all. There are many neutral techniques you can learn; some focus on the breath while others use sound as an anchor. What these neutral techniques all do is steer clear of any religious association. Most people are busy. They’ve got full lives with jobs and families, and the thought of just sitting still and doing nothing feels like a waste of time — I get it. And I also understand that it’s hard to prioritize sitting still and doing nothing when you have a million other things to do. But if you set aside 5 minutes to meditate every day, you would notice a huge difference in your life. You’d have more clarity and gain better perspective in everything you do, and your ability to handle stress will greatly improve. And when you start with just 5 minutes, you may get to the point where you want more, and you come to rely on it every day, like brushing your teeth. So saying you have no time isn’t a good excuse because everybody has 5 minutes. Skip scrolling through your social feeds for a change! Meditation is a practice. The word practice means you have to keep at it the same way you would with a sport or musical instrument. Having a busy mind that won’t quit may feel like a detriment to a meditation practice, but the goal isn’t to stop thinking. The purpose is to become more aware of your thoughts. So you can stop being ruled by every little whim or emotion, and instead you slow down your reaction time by creating space in between your thoughts. There will be good days and there will be bad days. The most important thing is to keep at it every day. This is how you will experience progress. And this is how you make meditation a part of your regular routine. Nice, MRI scans show that after an eight-week course of mindfulness practice, the brain’s “fight or flight” center, the amygdala, appears to shrink. This primal region of the brain, associated with fear and emotion, is involved in the initiation of the body’s response to stress. Nice info shared regarding the MRI. I truly like the valuable information you had shared here. I am loving it.